You've read the book. You've seen the movie. 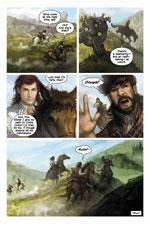 Now submerge yourself into the thrilling, stunning, and action-packed graphic novel. I am already a huge fan of the Percy Jackson series and many of my students love the books as well.I picked up the graphic version to appeal to some of my more reluctant readers. Most of the major story elements are included; Percy learns he is a demigod and that his best friend is a satyr after being attacked by Mrs. Dodds, meets other demigods at Camp Half-Blood, and sets out on a quest to return a very important stolen item.However, the final product seems a bit rushed and there are some strange gaps that make the story hard to follow.My favorite part of the novel, the encounter with Medusa, is completely left out. SUPER FAST SHIPPING!! book looks brand new not a single scratch or mark on it!! This is a good textbook for giving you the bald facts. When reading it I felt much the same as I felt reading all of my textbooks in college: Bored as hell but just interested enough to keep reading. I did learn quite a bit from this textbook, however. I will say one thing, this text book is an explosion of example pictures. I don't think I would have learned nearly as much had these not been an integral part of the layout. 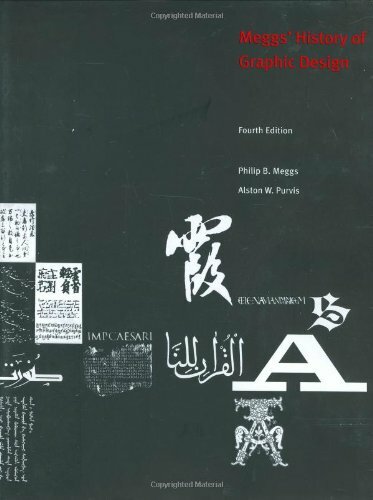 It makes sense when discussing the history of graphic design to use photos to back up your descriptions, but I've definitely read some textbooks that rely heavily on text and not enough on reference pictures and other visual material. That's part of what keeps me going when trying to dredge though textbooks like these. Overall I'd say this ranks higher than most textbooks I've been subjected to. I purchased this for the kindle app on the iPad and was extremely disappointed in the sample images that are included throughout the ebook. They're low resolution, the image where timeline is showed, the text is barely readable. I am using this book for my online classes. 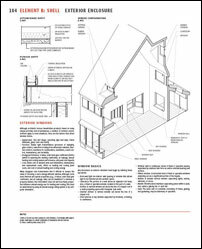 It has all the material and references needed for the course. Graphic Designers; steal this book. Watch Video Here: http://www.amazon.com/review/R1FLAD999FRUP4 This book is a must have if you are taking any graphic design courses. If you are already a graphic designer this book is also a must have.My class is long over and I wont sell this book, that says something considering I am a starving student, well maybe not starving. I bought this for a class and I ended up reading it just because the information presented is both interesting and also very digestible to the average reader. It is a very interesting book that you can keep long after the class is over. One thing is it makes a fantastic coffee table book. It would not be out of place in the lobby of your design firm. The content of this book covers from our earliest designs all the way to modern design and the impact it has on our lives.The content of this book does not shy away from the controversial to the mundane. As I was saying this is not just boring text droning on and on. It, in fact is very interesting to those that are into graphic design or art. Any art is graphic design, and all graphic design is art. You really get that feeling after reading this book. Being a creative designer is often about coming up with unique design solutions. Unfortunately, when the basic rules of design are ignored in an effort to be distinctive, design becomes useless. In language, a departure from the rules is only appreciated as great literature if recognition of the rules underlies the text. Graphic design is a "visual language," and brilliance is recognized in designers whose work seems to break all the rules, yet communicates its messages clearly. 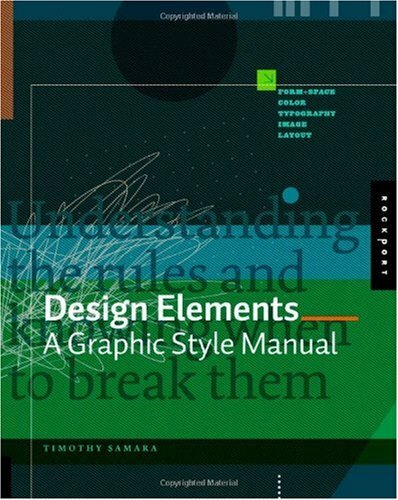 This book is a fun and accessible handbook that presents the fundamentals of design in lists, tips, brief text, and examples. Chapters include Graphic Design: What It Is; What Are They and What Do They Do? ; 20 Basic Rules of Good Design; Form and Space-The Basics; Color Fundamentals; Choosing and Using Type; The World of Imagery; Putting it All Together?Essential Layout Concepts; The Right Design Choices: 20 Reminders for Working Designers; and Breaking the Rules: When and Why to Challenge all the Rules of this Book. This book is unreadable.Most of it appears to be in about a 6 pt font.While open space can be a powerful part of graphic design, one should not create it by reducing type to that size typically reserved for legal disclaimers. Additionally, it did not seem very well organized overall or on each individual page.Obviously done by a graphic artist who hates text.Next time hire a copywriter. For a style guide, they did not follow their own rules.Who uses the color gray as the text type throughout the book?Big problem.It was unreadable, ghost like and etheral.There were so many pictures as examples but they were shrunk so small you could not get the visual message accross. It was like watching a 3D movie without the 3D glasses.Back to the drawing boards guys. Sorry, I should have read the other reviews warning how this book is impossible to read. This book might contain useful information except that I can't read the damn thing. The typeface is extremely small, and it's light-gray on white. Some of the visual examples have captions with type that is less than 2mm high. Even with perfect vision you need a magnifying glass! I've learned a little from this book from squinting, but I have to admit that this book is just too frustrating. I've been on Amazon probably since it opened, and this is going to be the first book I return. How frustrating!By the time you've squinted your way through a sentence of what seems to be 7-point narrow gray type, you're exhausted and can't remember how the sentence began, so you can't make sense of it.I'm sure there must be good content in the text, but I just can't get at it.I've even tried reading it aloud so that I can remember hearing it.That kind of works. I don't think this is a style manual, even though that's its subtitle.It's a collection of examples that fight on the page. I love my first design books: Non-Designer's Design Book, The (3rd Edition) and The Non-Designer's Design and Type Books, Deluxe Edition, by Robin Williams. Those spoiled me -- I hadn't realized that another design book wouldn't come close to their value. I have been generally impressed with the content of this book and have found it exceptionally helpful and useful. And I highly recommend it. The book provides what seems to be unintentional lessons about readability and usability. The selection of font size and color, for example, continuously rams home the message that one needs to make sure that the the final product is not hampered by artistic concerns. There are a few other points where I felt that the book's layout was in the way of its message, but again, each of these were learning opportunities for me. I bought the book when I was in junior college; the writting is down-to-earth and what you need to hear. Plus there are other Desginers who add their advice. Adrian Shaughnessy's How To Be a Graphic Designer Without Losing Your Soulis chock full of useful information about self promotion, getting clients, leaving clients, and all of the practical details of design that no-one ever seems to talk about. I love the design of the book. It has enough whitespace and variation that one can read it through without finding the layout monotonous and it is constructed so one can read a chapter or a section of a chapter, piece by piece, whenever you have a free moment. Shaughnessy honestly covers the complications of working for a studio or going freelance and includes a number of voices of famous, working designers, many of which have their own take on each issue. Some fall wholeheartedly in the camp that every designer needs to spend a few years at a show working with other designers before going freelance. Others talk about how they never trained formally in school or worked for a design shop. They simply followed their passion and learned through experience, creating an impressive body of work on their own. I was repeatedly struck with the clear, honest tone that the book is written in. I have to ask around through a range of contacts to get a clear idea of how to calculate rates, or to ask what sort of things I should have in mind before I take the step of renting office space, or even how potential clients tend to view promotional work versus work done for a paying client.No-one gives answers that are as well reasoned and understandable as the author. I really do not know how to describe this book other than to say that everyone who works in or is thinking about working in graphic design should read this book.It combines real-life experiences, with inspiration and a practical business how-to reference for the graphic design professional. Get a copy today. 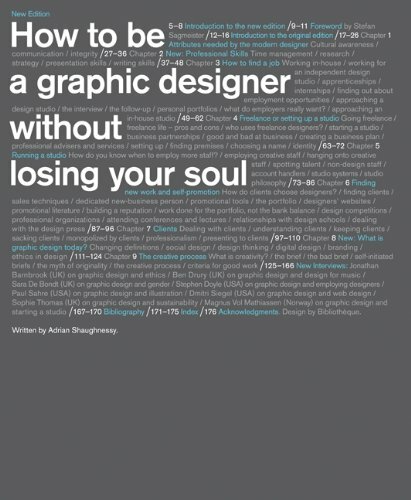 Flush with anecdotes, examples, and interviews with successful designers; How To Be A Graphic Designer Without Losing Your Soul is a must read for anyone entering into a creative career. The book offers advise and tips on everything from how to get your first job, to how to start your own studio. Young designers should read this to learn how the industry thinks, and how to interact in the design world. However, as the author states in the introduction, this book is not a technical guide to running a business or the perfect portfolio layout. Shaughnessy providesa kind of social guide to the interactions designers must navigate daily. This book is more about how designers should behave than about contracts, bid sheets, and proofs. 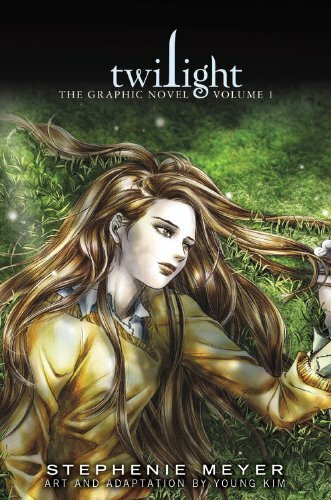 Not knowing what a graphic novel was I thought graphic meant more detail not pictures so I was hoping for more detail about the time before Claire came through the stones in Jame's time but the book told a bit but not what I was expecting, my fault for not researching it better. 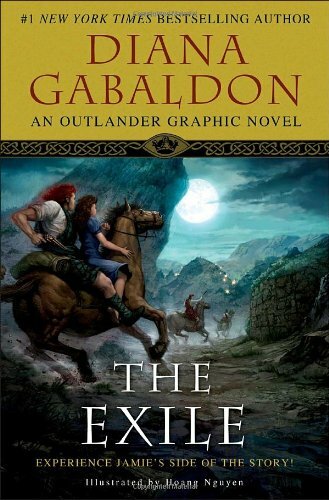 First, I must say that I am not really familiar with the graphic novel genre.I found myself trying to rememeber the details of Outlander while reading it.The Exile came up short for me.I honestly wish that I would have waited to check this one out of the library instead of buying it. The Exile was a disappointment for me. YUCKO! What was Diana thinking! 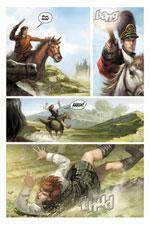 I am a HUGE Outlander series fan! HUGE! So is my mother-in-law and we were both excited when we heard a new book, the retelling of Outlander from Jaime's viewpoint was coming out. We did not know what a graphic novel was, and apparently missed that part when I saw the title. Needless to say, neither of us were pleased when we got our books. I agree with another poster that said, why would Diana waste her time writing this when she could be working on the next real book for the series. Waste of time and money for this as far as I was concerned. I did not like the artwork, the story AND the artwork made it hard to enjoy and follow along. I did not finish this book and am highly disappointed. This graphic book was an great way to show Jamies side and its pretty cool to see something different. Hopefully this is not the only one that is produced. I do like this style but I still love the novels. Warning: this is Volume 1 of the adaptation of the book Twilight, not an adaption of the entire volume 1 of the Twilight series. Meaning the next book will be Twilight Volume 2, not New Moon. I thought reading this would be less painful and less time-wasting than reading the novel. I actually don't know for sure that it is, since I haven't read the novel, but it was mostly painless (although that Edward sure is creepy) and only took an hour. I was more impressed than I thought I'd be by the story--the structure of starting from the end is interesting, and the pacing and relationship development is much better (if not good) than in the movie--but that doesn't mean I was actually impressed. The minor characters were indistinguishable from one another; they didn't really seem to have different personalities (or personalities at all). The main characters weren't very likeable; Bella is very doom and gloom about moving to a new town and making friends in a new school but doesn't seem to have any trouble making a large group of friends on day one, and she also doesn't seem to be very intelligent. Edward, meanwhile, is rude when he's trying to stay away from her, and is rudely intrusive as well as extremely creepy and possessive when he's with her. On the other hand, I really loved some aspects of the art. In general, it made every single person look excessively pretty, which is unrealistic but at least nice to look at. The occasional use of color in an otherwise sepia world was interesting, and worked well as emphasis, particularly in the twilight scene. The backgrounds of the mundane settings like Bella's room, the school classrooms and cafeteria, and the hospital were very realistic and well visualized, which worked well in contrast with the fantasy story. 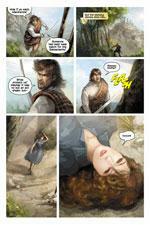 Another thing I liked was some of the detail work--there was one page where I LOVED the drawing of Bella's eyes. So I enjoyed this more than I thought I would, but mostly for the art, and in comparison to the terrible movie. I was kind of put out when I realized that the "Volume 1" didn't mean that it was the "Twilight series: Volume 1: Twilight," but was only part of the adaptation of the book Twilight. I don't know how many more there are supposed to be, but if I want to see the complete story I'll have to read more volumes, and that wasn't what I thought I was signing up for. When I picked up my copy, I was blown away by the drawings. I appreciated how close the manga followed the story, but didn't repeat it 100%. The story was depicted very well in a manga format the move it along smoothly. My biggest gripe from the whole volume was the use of photographs in a lot of the backgrounds. I am an art student and I learned how to take photographs and apply filters to them to make them very comic/cartoonish, but there is no replacement for photographs and actual drawings of backgrounds. While Young Kim did her best to blend the two together, it was hard to look past the placement of the characters into a photograph. 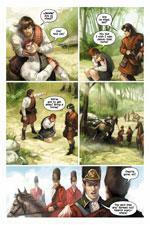 A few panels showed obvious signs of a drawing placed in a photo because they characters stuck out like paper dolls. The scene the was the most bothersome was Bella's dream about Edward and the Quileute Wolves, the wolf was obviously a photograph. Later when Bella is the forest thinking about that dream Kim tried drawing over a photo and it was obvious a photo with a drawn version of fur over the muzzle and the mouth of the wolf. If Kim had drawn the background herself I would have found the manga even more enjoyable. However, because of the use of photographs, I found them very distracting with the character detached from the scene instead of part of it. I'm more of a 2.5/5, I would have given a 3 at the least, however, after giving up how many times photos were used it's a 2 on Amazon, 2.5 personally. I'm new to the Twilight series.Just watch Twilight DVD#1 last week and finished reading the Novel#1 and this graphic book yesterday. 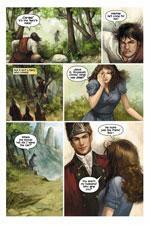 This graphic novel is definitely beautifully illustrated. But, it's too rush and missing lots of the original and essential plots and conversation.It does not cover the entire Novel#1 either. If you have extra money to spend, buy it.Or, just borrow from your friends or the local libraries if they have it.I will not spend money on it since it does not tell a good story of the original(even though Ms. Meyer herself instructed the story line page by page behind it). Don't expect too much because any graphic book has its limitation.However, I would still give it 4 stars since it's still a beautiful book.Other than that, just read the original novels and then watch the DVDs. p.s. I know there is Japanese graphic version of this Twilight series authorized by Ms. Meyer.I'm looking forward to the Janpanese version (translated into English later, hopefully) since they have the tradition to do a thorough story line, at the same time, still give you room for imagination. p.s. Agree with the Review on June 10, 2010. It said " it's almost like reading a "cliff's notes" version of the story. Furthermore, she(refers to Bella) is far too conventionally pretty. And all the other characters are drawn so much alike that I had a great deal of trouble telling them apart. I think I'll stick with the original novel. " 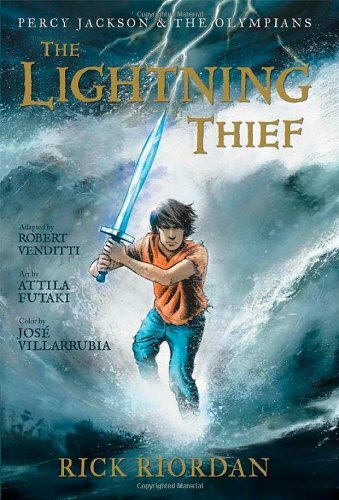 My 13 y/o is reading this now! Even better than you think it is. I'm just going to quote Ellen Lupton (! ): "Every graphic designer and design student should get a copy of this book." I recommend this to every design student I meet, and I'm still learning from it myself. So much more between the two covers than I thought I would find... Because I own the Meggs, and the Lupton books, and many more.. but this is just an excellent addition. 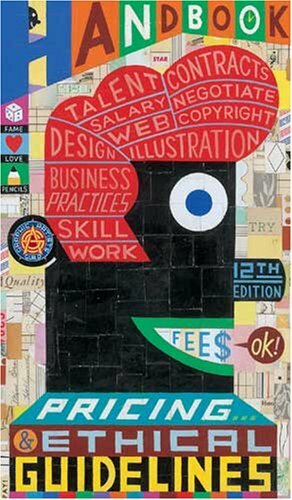 Graphic Design, Referenced tows the heavy load of documenting nearly all aspects of graphic design into one collected title. It covers: formal issues such as color, type, and composition; professional pursuits such as web design, branding, and publication design, among others; and heroines/heroes of the trade. The massive amount of imagery rewards the reader with each page turn. The authors made a commitment to research during the image gathering process, and took the utmost care to ensure that designers received proper credit, and the works appear the way they should ([...]). Bryony & Armin have proven themselves as capable writers since 2002, when they began the Speak Up design weblog ([...]). With Graphic Design, Referenced, they solidified themselves as writers for the printed page. 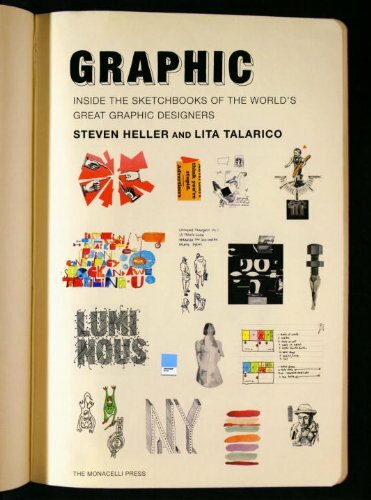 The two authors of this amazing book wisely say in the intro that their endeavors are not really comparable to the Meggs, Hollis, Bringhurst or even newcomer Stephen Eskilson's standard history of graphics, design and typography.They have approached the subject in a fresh and I thought unique way. The book is in four sections: Principles (design, type and print); Knowledge (books, online, collections and colleges); Representatives (designers, type creators, design writers and design clubs) and Practice (139 pages bulging with practical examples of anything designed.What I thought interesting was the way these four sections are developed to cover a phenomenal amount of information, either historical or contemporary, and presented primarily as visual items backed up with bite-size text. Obviously the more technical aspects of design can only be covered briefly: print is wrapped up in twelve pages (and nothing on paper) but the range of design, from magazines to motion graphics or typography: anatomy; genealogy; classification; typesetting is spread over fifty-eight pages.Brand identity covering logos and corporate programs gets twenty-five pages.Perhaps the weakest part of the book is 'Recommended reading', summed up with just a spread and not including the 1989Typographic Communications Todayby Ed Gottschalk or the 2001 The Art of Looking Sidewaysby Alan Fletcherand a book I'm sure would have been included had it been published before 2009, Bibliographic: 100 Classic Graphic Design Books. All of this information, which includes 2500 images, is deftly served up in a clear, straightforward page and typographic design which fortunately avoids one of the annoyances of books for designers: acres of empty page space (I tend to think this is only an indication of too little material for too many pages). There is though a slight annoyance with the book.Whenever a cross reference appears in the text a miniscule arrow is used pointing to a page number both of which are in a light tint and therefore almost unreadable. 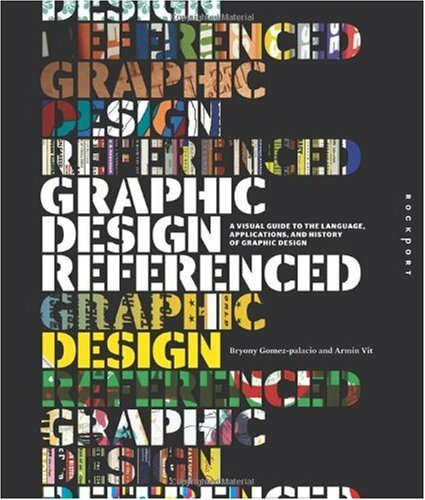 As the title's sub-deck says 'A visual guide to the language, application and history of graphic design' and I thought it worked a treat.A real-page turner presenting creativity in a fresh format. This is an awesome index of everything design related. This is not a text book in the traditional sense, and I wouldn't call this collection "timeless", design is contemporary after all; this is more of a stepping stone to dive deeper into the avenues of today's artistic functions. In some cases, it feels like a promotion for universities, design books, agencies, etc...which, don't misinterpret - is good in its own right. While some of the literature can be a little brief, the descriptions are to-the-point and easy to comprehend (the information doesn't seem invaluable or overwhelming). All in all, this book is one of the best compilations of graphic design around. Recommended! it is exactly what i need for my graphic design class! a good quality new book with cheap price, nice and fast servise and solid firm packaging. I recieved exactly what I ordered, for the right price, and on time. Best of all,it is a book that is detailed, but not to complex. I bought this book sight unseen, based on the authors' reputations and the mostly good reviews. Sorry to say it, but the textual content of this book is the verbal equivalent of bad stick figure drawings badly layed out. I can only conclude that right-brained graphics-oriented people shouldn't be allowed to explain what it is they do. For me, this book has too many statements that are so abstractly vague or universally applicable as to be meaningless, plus a fair share of contradictory statements, some within a paragraph and others within even a single sentence. 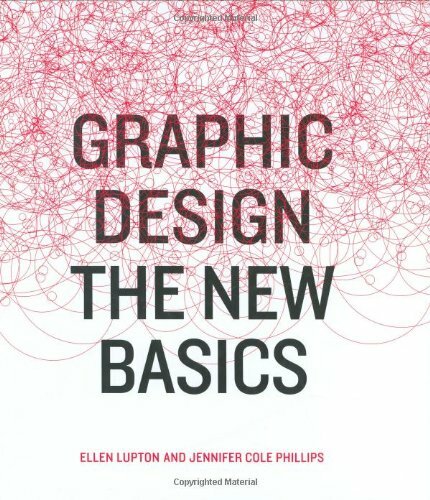 Zooming out, if you are looking to this book for cohesive, practical guidelines for implementing these "New Basics", look no further than the back cover where you'll find the chapter names listed, each of which represents a basic graphic design element. Then go out and analyze some award-winning designs with these chapter titles in mind. The example designs reproduced in the book seem to be mostly a showcase for the works of the authors' students. I found many of them quite pleasing, and since they made it into the book, I assume they are "good design". Based on what I learned from the text, I can't really say. Buying used books makes sense.This book arrived in a timely manner and in good condition at a fraction of the cost. I was very disappointed in this book. Given the title, I expected more cohesive guidelines and analysis on assembling the "New Basics" into my designs. To me, it was primarily a showcase of work done by the authors' students, some of which I enjoyed, but I didn't find it very helpful or insightful. In fact, I returned it for a refund. Also, I found some of the type so small as to be unreadable, which for experienced designers, I found surprising. Not high on my list, obviously. I expect a title and/or subtitle to deliver on its implied promise. Perhaps I totally misunderstood the intent of the book, but I expected something that would weave these so-called new basics into a whole, provide direction, and help me produce better designs. Maybe that happens over the course of time in class, but I didn't see that happening in the book. 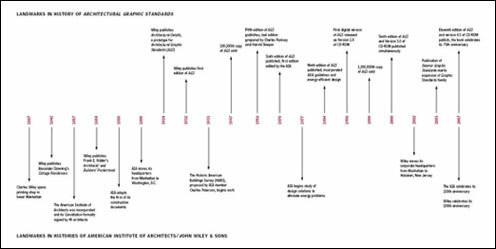 The author isworld-renowned for his numerous architecture and design books, including Architecture: Form, Space, and Order; A Global History of Architecture; Interior Design Illustrated; Building Codes Illustrated; and Building Construction Illustrated, all from Wiley. Needed this book for my class ASAP, and even with standard shipping I still received it within 2-3 days...AWESOME! !Needless to say, good condition and just what I was looking for. All of the man-made architectural wonders that we see around us began their lives as just seeds of ideas. Before being built, these seeds must be crystallized and nurtured through drawings. Architects depend on drawing to bring their ideas to life. 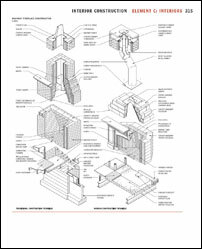 One book that has become a trusted source for teaching architects how to do it right is Francis D.K. Ching's //Architectural Graphics//. 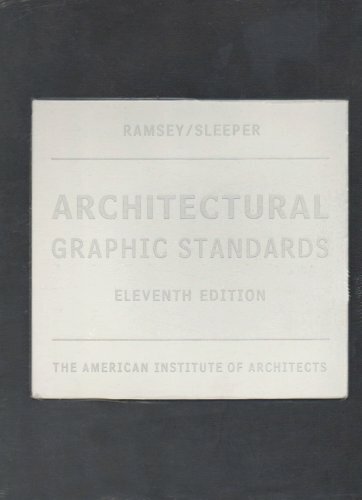 Now in its fifth edition, it offers the essential drawing tools, principles, and techniques that architects use to communicate their ideas. 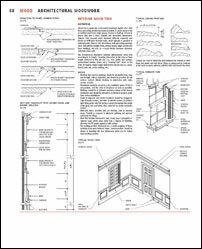 It expands upon the wealth of illustrations and instructions that have made this book a classic, and guides readers through the subtleties of translating architectural ideas into vivid visual representations. Readers will learn Ching's renowned methods through: coverage of multiview drawings, paraline drawings, and perspective drawings; techniques for drawing section views of building interiors; strategies for rendering tonal value, enhancing pictorial depth, and conveying the illumination of spatial environments; approaches for developing the layout of architectural presentations; freehand sketching and diagramming; and so much more. 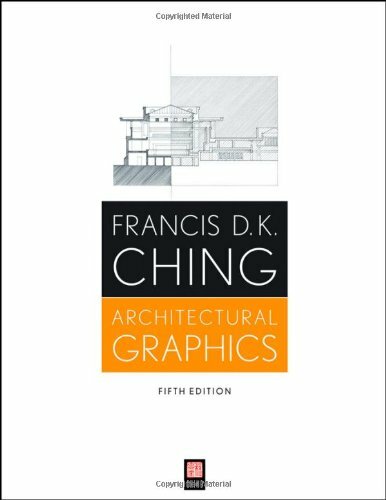 This beautiful fifth edition of //Architectural Graphics//from Francis D.K. 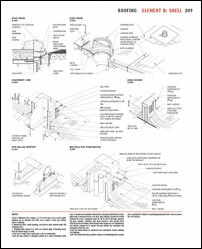 Ching clearly represents the complexity of architectural concepts in an intuitive graphic manner that benefits anyone interested in maintaining the highest standard of the profession of architecture. 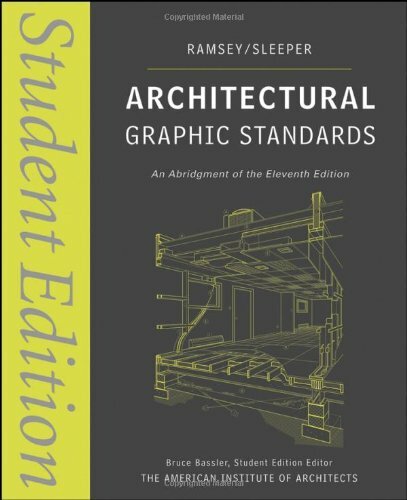 I'm a second year architecture student and I've already collected a dozen or so books on graphics and techniques. Whats good about this book is contains most of Ching's best tips all in one thin desk reference. Very useful. Very Practical. This is great for students that finished early. This helps them creativly summarize the text that they just read. Great product. I think this book is a great resource in a language arts class.Some of the worksheets might need better explanations or a little tweaking, but overall there are some good worksheets that help teach common elements like main idea, setting, and making predictions. 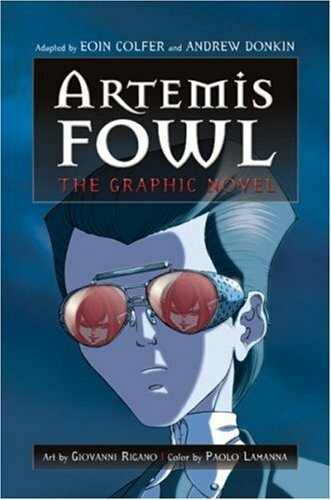 I wasn't sure about reading the Graphic Novel version of Artemis Fowl at first. But reading the Ruin Mist comics got me looking for others like them, and this is one of the first I bought. I was surprised. I really enjoyed it! The art is great and the color is wonderful. One thing I didn't like is it was the same story as the first book pretty much. I would have liked a new story like with the Ruin Mist comics. I purchased this book to add to the classroom library. My students can't put it down! I wish I had purchased several copies. My son likes to read but it is hard to find a book that he will even start.He likes reading mangas over and over.When I saw that they had Artemis Fowl in a graphic novel, I thought this would help and it did.He read it quickly and now wants to read the book series.The graphic novel's storyline is faithful but a little different from the book and that's okay - it gives him something to look forward to. Nice refresher but definately not a replacement for the original book.Way too much detail is lost.I like how it is adapted by the original author so you can see what he choose as important details. As much as I love the original novel, this version may very well be an improvement.The prose is condensed but very little depth is sacrificed, and the images manage to enrich the work without distracting from its ideas. Paul Karasik and David Mazzucchelli use film noir as a springboard for their visual style, much as Auster uses detective fiction as a springboard for the plot of his novel, but what's really surprising is how well the artists keep up even as Auster plunges into purely cerebral territory.There are passages in the book that must have kept the artists awake many a night:Peter Stillman's almost indecipherable speech near the beginning which goes on for almost ten pages, and later conversations with the elder Peter Stillman about the nature of language, for example.With no visual clues to draw on, they somehow manage to give these scenes a visual life of their own, matching the words to parades of symbolic imagery.The atmosphere created - dark, lonely, paranoid - is much more powerful than that of the novel's, although the novel is also great on its own merits and certainly worth reading. 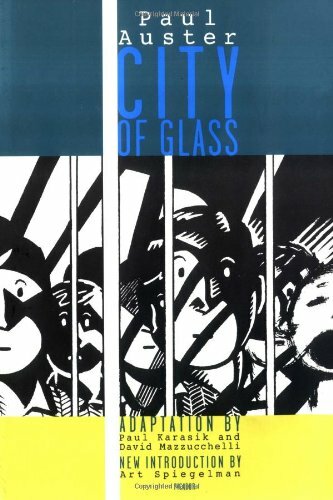 It's apparent on every page that an extraordinary amount of care and consideration has been put into this adaptation.In fact, I'd like to see more novels adapted in this manner.If it can be done for "City of Glass," it can be done for just about anything. is taking about to further emphasize how mental ill he is. this character that was a detective. will change the entire story for okay to simply fascinating. Words into pictures and pictures into words! Who would have thought that all of those dread, ghost-filled spaces between the omniscient narrator's wordscould be developed, like photo/graphic images? The graphics serve as a supplemental, meta omniscience, and convey what Wallace Stevens called "nothing that is not there and the nothing that is." That's a pretty remarkable accomplishment for a supposedly "post modernist" work. Purchased impulsively thinking that a graphic novel offered in the Kindle format might look rough but at least be legible.Wrong.Will be asking for a refund! This edition is totally unreadable and this is a graphic novel heavy on the text with multiple small panels per page.How this was ever OK'd to be sold on Amazon is a mystery.Like buying a MP3 player with no headphone jack, what's the point? I purchased this in hopes of using it to refine my contracts and proposals, but it falls a little short. I suppose, if you treat your business as more of a in-and-out service firm, the contracts might work well. However, in the case of my design studio which often offers lengthy proposals with extensive contract verbage at the end, it didn't shed much light on how to ensure all my legal bases are covered in an ever-more-complex world of design and development. I'm sure the book would have been helpful to have in time for class but I never received it. A book every artist should have. Full of information most of us do not really think about, like pricing, contracts, etc. Worth every penny. I recently got this book and from what I have been seeing so far I know that this book will be so valuable to me. I recommend this book for artists of every medium. I first saw this series of books when working in house in the late 90's. I somewhat forgot about them until seeing the book at a local Big New bookstore, where I picked up the most recent copy and checked it out a bit. I realized that I should have bought this book years ago, when I first went out on my own in the design world, so I came home and ordered it up on Amazon (for about 40% off the price it was at the bookstore.) I probably should have bought it at the bookstore, since I spend a lot of time there but times are tough, you have to save where you can. The book is broken down into just about every segment / classification you can think of. From designing stamps for third world countries to doing medical illustrations for advertisements (and literally everything in between). There are a few tiny holes (ie: catalog layout), but with so much other subjects / materials for cross referencing, it's pretty easy to figure out what the rate should be. Eoin Colfer's bestselling antihero is back in Artemis Fowl: The Arctic Incident--the superb sequel to the hyper-hyped Artemis Fowl, shortlisted for the Whitbread Children's Book of the Year. The Arctic Incident sees the slightly older, perhaps slightly more mellow arch-criminal Artemis recovered from his last adventure, richer now that he has his half of a hoard of fairy gold, and happier since the Clarice Starlingesque superfairy Captain Holly Short of the LEPrecon returned his mother's ailing mind to full health. 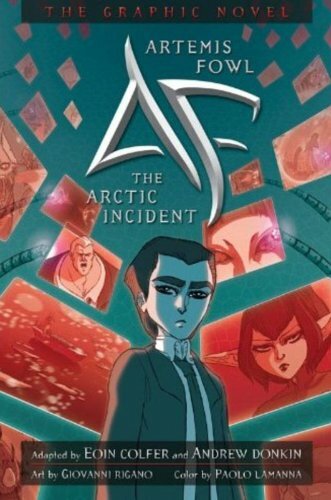 But there is still much unfinished business: Artemis Fowl Sr. disappeared when a daring escapade designed to free his family from their criminal--not to mention deeply lucrative--past and move the family's assets into legitimate enterprises went horribly wrong. Held captive by the Mafiya (the Russian organized crime syndicate) for over two years, he has been declared officially dead, but Artemis Jr. knows in his heart (yes, he does have one) that his beloved father is still alive, and he is determined to find him. Meanwhile Captain Short is temporarily on assignment to Customs and Excise as punishment for letting Fowl separate her and her People from their gold and is finding her stakeout duties a little dull. It soon becomes obvious that the pair have need of each other's considerable skills, and before long they are on track for an adventure that will ultimately have far-reaching consequences for both of them. If you enjoyed the first book, you won't be disappointed by the second. Initially the pace is a little slower, and the slightly more mellow Artemis is certainly a tad unnerving at first (particularly as one of the things that made him such an unusual character was the fact that there was something distinctly unlikable about him), but once the sparks between Holly and Artemis begin to fly, and the adventure that tests their endurance to their emotional, physical, and intellectual limits begins, the pages just keep on turning. Amazing and Outstanding is all the words I could put to it. What a winner. My granddaughter reads all the time and requested this series. important it give them a window into different worlds. With tons of comparisons to Harry Potter when the series first came out, Artemis Fowl is a companion to Harry Potter only in that it features a young adult protagonist and magic to an extent. The rest of the series is vastly different, in a far more modern (perhaps even slightly futuristic) world with a surprisingly charismatic antihero. This reader was late to the Artemis Fowl bandwagon, and perhaps that is best as the rest of the series for several books waits ahead with the new book in the series (supossidly the second to last one) newly released. This time the elaborate heist for a specific goal that Artemis had set up in the first novel has come to fruition in this sequel, the search for his missing father. Long declared dead by the rest of the world, Artemis refuses to give up hope that Fowl Sr is still alive and out there somewhere. Perhaps being held captive by enemies of the Fowl criminal empire. In this Fowl would be right, only this time it's the Russian Mafya, holding a ransom for Fowl. Knowing fully well of a trap being laid for him and his Father, Artemis plans on rescuing his father with his unstoppable tank like bodyguard Butler. Going on in a sub plot in the Fairy world, Goblins of the B'wa Kell are armed with weapons far more advanced and banned in the underground fairy world. Incapable of larger organization even at the smallest level (goblins are hideously stupid) the LEPrecon force smells a larger plot at hand and they would be right. Our favorite LEPrecon Captain Holly Short suspects her old nemesis Artemis Fowl is behind the plot at large, but would she be right? In this Colfer is a master at handling to separate sub plots without detracting from the first to give leeway to the other. Managing to set up several threads in different scenes, Colfer's writing is at its' simplest and highest here. Descriptions are evident enough to give us a clear picture of what is happening at large in the scene without overly elaborate prose, his dialogue is made for action and manages to keep the reader at the edge of the seat. This reader read the book in a manner of three days (allowing real life concerns to get in the way of reading of course). But over a weekend or even on a vacation the book goes by fast while still being full of mettle. Colfer brings back old favorites, Mulch Diggums, the centaur Foaly, even Captain Root gets in on the action, while also introducing new ones in the nemesis of Opal Koboi. In this one Fowl himself is far more humanistic and approachable, less the cold hearted, unrelatable villain that made the character hard to support in the first novel. In this one we see Artemis as a super bright, genius, desperate young man that he really is. A child at heart who is desperate for his family to return to some sense of normalcy. Forced to work together in harsh circumstances the characters are portrayed at their best. The one fault of the novel would perhaps be, the distant figure of Fowl Sr. We as readers have little idea what the man was like while he was with Artemis and while we obviously want the character to return as the protagonist does being he's his father, we know nothing of the man himself. What he was like, perhaps the novel could have been interspersed with flashbacks of Fowl Sr. Just to give the reader a better idea as to what the man himself is like. While the new villainess Opal is purported to be a genius akin to Fowl, it's hard to get a sense of her. Seeming more like a floating victim rather then the criminal mastermind we are supposed to believe she is. Though very clever and able to be one step ahead of the "heroes" she seems surprisingly uneven and appears at times to be surprisingly naive, hopefully this is Colfer showing a major weakness to who will undoubtedly be a major villain later. Colfer's Artemis Fowl, the second novel in the Artemis Fowl series is the most entertaining so far and this reader eagerly awaits more. Honestly, I am not a fan of this series, but I have to hand it to this book: it was much more satisfying than the first! Veteran educator and NCTE trainer Katherine McKnight shows how students can use graphic organizers as an important tool to organize new information. Providing a visual representation that uses symbols to express ideas, concepts, and convey meaning, graphic organizers help to depict relationships between facts, terms, and ideas. The author demonstrates how graphic organizers have proven to be a powerful teaching and learning strategy. I am a secondary education English teacher at an alternative high school on the south side of Chicago. I have read and used various methods and materials from Dr. Mcknight throughout my teaching. Dr. McKnight's books are always incredibly useful and helpful especially when working in underserved classrooms.This book is helpful for teachers of all subjects and ability levels. The graphic organizers are easily copied out of the book and filled by students.Many of them are even in a downloadable format that is readily accessible on the website. This book will be used all year long in multiple lessons and units in my classroom.I highly recommend it! This book is an abosolute necessity for all teachers. It is chock-full of organizational methods for students in any content area. All worksheets are reproducable and can be modified for any subject or grade. A visual learner's best friend! A graphic organizer is a visual learner's best friend. It helps students organize data, remember facts, and explain concepts. If you have a student who learns best from reading charts and graphs, I highly recommend The Teacher's Big Book of Graphic Organizers published by Jossey-Bass. Included are 100 reproducible organizers for all subject areas. For instance, the Carousel Brainstorm organizer helps students create a book report by filling in boxes of information. After the boxes are complete, they can take this information and easily write their final report. The report can be on the book itself or the topic discussed in the book, whether it be literature, history, science, or any other subject. The Hypothesis Guide helps students visualize the scientific method. Students are directed step-by-step through the process from asking a question, writing down what they know, proposing a hypothesis, documenting the lab process and results, and preparing a conclusion. The Six Column Vocabulary Organizer is a great tool to help students learn new vocabulary words. The student charts the definition, part of speech, synonym, antonym, and even draws a picture or icon to represent the word. I love the writing organizers, which include a writer's checklist, sensory starter (helps them add sensory details to their writing), character creator, and story map (helps with plotting). There's also an organizer that focuses on persuasive writing. 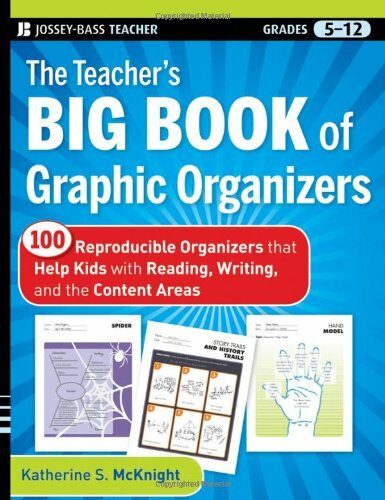 Whether you teach in a classroom or at home, The Teacher's Big Book of Graphic Organizers is a tool you should not do without. As a homeschooling parent of a child on the autism spectrum, I am excited as I flip through the pages of this book and see the possibilities. McKnight has turned so many "invisible" concepts in to CONCRETE VISUALS for *any* learner, and in my opinion, students of a broader age/grade range that the author recommends. Some of the pages are familiar to us. The Venn Diagram, for example. Many are new to me, and are quite creative. I really like the way a concept is broken down into parts and visually arranged on a page, adding a rich element, something tangible, that is missed with a verbal description, alone. 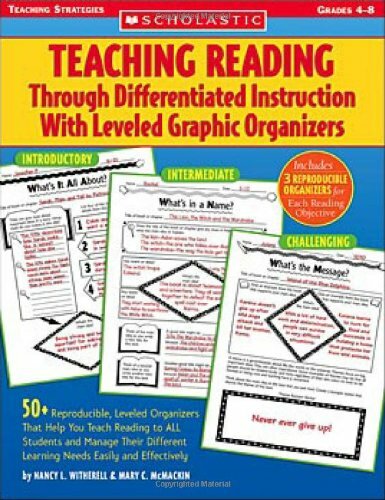 Each of the 100 graphic organizers is presented over two pages, with one page offering a grade range (which is 4-12; 5-12; or 6-12 in the book, but I can see many uses for my child who is working at lower grade levels); a meter that lets the user know whether each organizer is easy, medium, or hard; a list of subject areas to use with each organizer; a list of what skills and functions the students will practice and develop with each organizer; and finally, a copy of a completed page with examples of "tips for classrooom implementation". For all students, but especially for a student in the autism spectrum, there are quite a few pages that visually scaffold steps to inferencing, to perspective taking, to visualization, to predicting, to using prior knowledge. For a visually-impaired student or a student with fine-motor challenges (which make staying within the lines difficult), I would consider raising the lines on the pages by adding a "bead" of liquid white glue and allowing it to dry prior to using a page with that student. This is a book that every homeschool parent, every school-building school teacher, every special ed teacher would be able to use. I imagine even church staff would appreciate this book for Bible studies with students of all ages. 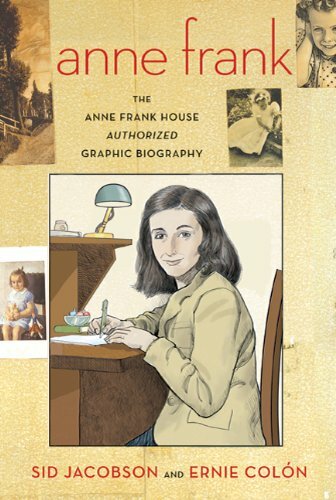 Drawing on the unique historical sites, archives, expertise, and unquestioned authority of the Anne Frank House in Amsterdam, New York Times bestselling authors Sid Jacobson and Ernie Colón have created the first authorized and exhaustive graphic biography of Anne Frank. Their account is complete, covering the lives of Anne’s parents, Edith and Otto; Anne's first years in Frankfurt; the rise of Nazism; the Franks' immigration to Amsterdam; war and occupation; Anne's years in the Secret Annex; betrayal and arrest; her deportation and tragic death in Bergen-Belsen; the survival of Anne's father; and his recovery and publication of her astounding diary. Nearly seven decades after her death, Anne Frank continues to teach the world about the ways of humanity. Ironically, in the midst of having every basic human dignity slowly stripped away, Frank shone a light on the small things that define a young life: becoming a woman, fighting with her mother, getting her first kiss, and dreaming of what her future would hold. She dreamed of a life as writer. Sadly, she would die before ever reaching womanhood. But her legacy would last permanently. Sid Jacobson and Ernie Colón, the masterful team behind the graphic adaptation of The 9/11 Report and Vlad the Impaler, have now crafted Anne Frank, a remarkably thorough and tender biography written in conjunction with the Anne Frank House in Amsterdam. This is not an adaptation of Frank's famous diary; instead, it's her life story told through diligent research and incorporating quotes from the diary. We get a full description of Frank's background, beginning with a family tree of both her parents and continuing on over the years as the winds of war begin to sweep through Europe. Anne Frank is a wonderful history book perfect for all ages. It would be a great accompaniment to a reading of Frank's diary, or it stands on its own and tells the complete story of Frank's life. As an ardent fan of Anne Frank: The Diary of a Young Girl (Mass Market Paperback) and a keen reader of books on the Holocaust, this non-fiction graphic novel by Sid Jacobson and Ernie Colon is an excellent depiction of Anne's life story, and was produced under the auspices of the Anne Frank House. There is so much detailed information provided that it addresses almost all questions one would have on the subject of Anne Frank and the Secret Annexe (except that million-dollar question as to who actually betrayed the occupants of the Annexe). It begins with background information on both Otto and Edith Frank, Anne's parents. It was interesting to read how Otto and his brothers were involved in the banking industry, and how Edith's family name, Hollander, was taken because they originally made their home in the Netherlands. Readers get to read about how Otto and Edith met, married, and had both Margot (Anne's older sister), and Anne of course. Together with the more salient historical information, readers are also given insights as to the distinct personalities of both Margot and Anne, who apparently showed their different personalities since they were babies (Margot hardly cried and was a quiet baby, Anne was constantly crying and demanding attention)! Anne's maturing into a self-possessed young woman (after a phase of adolescence angst) is also well-illustrated here. The illustrations are rich and amazingly detailed, many painstakingly copied from actual archival photographs that lend authenticity and credibility to the story unfolding within these pages. It is a very real and very human story, of a time that was so enveloped in darkness, where human beings committed unimaginable atrocities against other human beings because of bigotry and hatred. Anne Frank's story is one that will always hold universal appeal, and even now, decades after her death and the publication of her diary, her story bears repeating and remembering, especially for the younger generation. As Anne herself mentioned in her diary, "I don't believe war is simply the work of politicians and capitalists. Oh, no, the common man is every bit as guilty. The time will come when we'll be people again and not just Jews!" 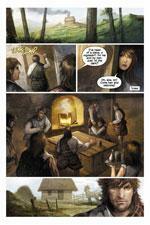 The graphic novel format also makes Anne's story and the Holocaust more accessible to the present generation. I ordered "Anne Frank" after reading that the author/illustrator team Sid Jacobson and Ernie Colon were the same duo who had produced "The 9/11 Report: A Graphic Adaptation", which I felt was very well done. I read the original Anne Frank Diary many years ago and have kept up with the various controversies over its publishing; mainly the "white-washing" the publishers had done - supposedly with the consent of Otto Frank - of its contents. Did Otto rewrite Anne's diary to take out the personal parts? Did the publishers attempt to "universalise" Anne's diary in hopes of making it less "Jewish" and more "commercial" to the wider world? Did Hackett and Goodrich do the same with their Broadway play and subsequent movie? We're talking about the 1950's; the book's message and contents were judged much differently than they are today. Jacobson and Colon have "updated" the Anne Frank diary and biography to today's sensibilities. Along with parts of the diary, they have written and drawn the life of the Otto Frank family, from its origins in Frankfurt, to their lives in Amsterdam, and, finally, to their fate in the German concentration camps. Only Otto emerged alive. The authors also record the rise of Hitler and the Nazi party and their subsequent take over of the German government in the early 1930's. Jacobson and Colon do not neglect, either, the friends and family and helpers who were the supporting players in the Frank family story. Their book makes harrowing reading, particularly the part about life in Auchwitz and Bergen-Belson. This book could not have been written much earlier than it was. Today's reader is ready for the truth about Anne Frank and her fate and the truth of the world around her. 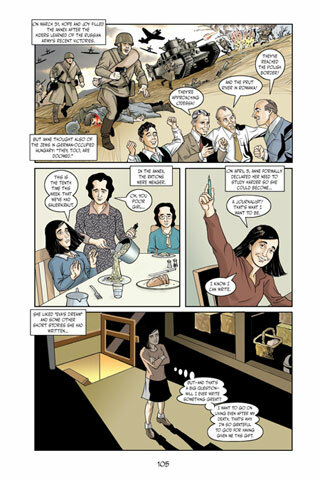 Anne Frank: The Anne Frank House Authorized Graphic Biography by Sid Jacobson and Ernie Colon is an outstanding example of the power of graphic nonfiction. Beginning with the story of Anne's parents and ending with Anne's legacy, the book provides essential background information about both world history and Anne's family that provide the context for Anne's famous story. Readers of all ages will be immersed in Anne's touching and tragic story. Middle school teachers and school librarians will be thrilled to find a new way to approach the study of Anne Frank. Pair this graphic biography with the original diary transcriptions and the museum website for a powerful learning experience.